Sandusky Speedway had great conditions for racing last night, so the three NEO Racing News on-board cameras brought back some great videos. Buckeye Super Sprint driver #6L Talon Stephens carried one of cameras for his dominating performance Sunday night, sweeping both Heat and Feature races. #75 Stephen Klinect carried the Modified Challenge on-board until his motor gave up the ghost in their feature race. Also, #33 Cody Rose carried the Street Stock on-board until the camera decided it needed to take the night off. His on-board was able to record the Street Stock dash and heat. 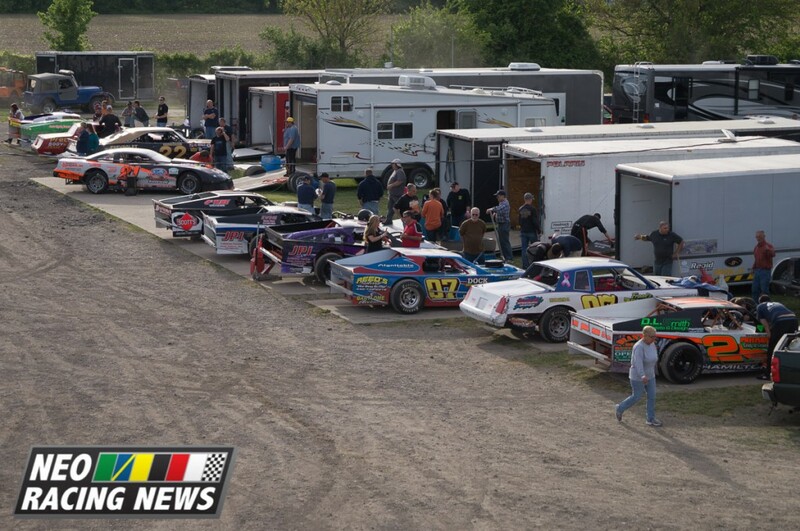 Plenty of racing action caught on camera, continue reading for seven videos from Sandusky Speedway. Ride Along with #75 Stephen Klinect in Econo Mod Heat #3 at Sandusky Speedway.